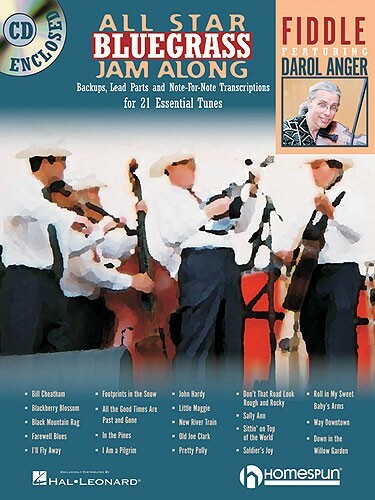 Informationen zum Produkt "HAL LEONARD - HL00641946 Fiddle AllStar Blue"
These fabulous collections for players of all levels feature 21 must-know bluegrass songs & instrumentals, created especially for learning players by the genre's leading artists. The artist plays a basic solo that states the melody of the tune, then a more adventurous improvisation, and each solo is transcribed in detail. The CD provides the audio versions of the solos, plus multiple rhythm tracks performed at moderate tempo for easy play-along. This great series will help you build your repertoire & get your licks in shape, so you can shine in your next performance or jam session!